The Devil’s Punch Bowl Bar takes its name from the stunning glacial lake on Mangerton Mountain, set within the Killarney National Park, a 25,000-acre oasis adjacent to The Lake Hotel and visible from the bar, restaurant and lounges. 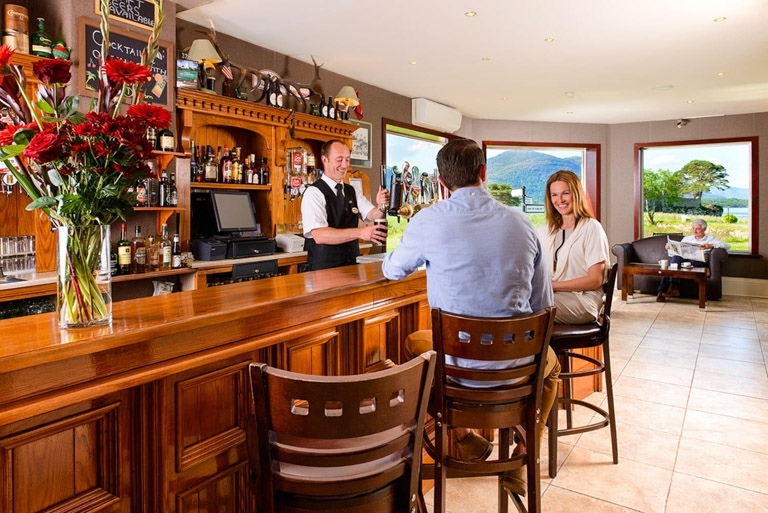 This bright and relaxing bar offers superb views of the lakes and mountains beyond and also is a display area for some of the hotel's memorabilia. The bar is often busy for morning coffee, scones, refreshments, as well as our classic Afternoon Tea in the afternoon and tasty bar food throughout the evening. Combined with our friendly and helpful staff, guests come back again and again. Try our own Craft beer "Martin Huggard" first brewed during the War in 1940, made with the original characteristics and taste, or alternatively, try one of our popular cocktails like our "Lakeside Sunset". Food is served in the bar from 12 till 9pm by our awarding winning Chefs. During the high season, Live Music is performed 3 to 4 times a week while Sky, BT and Eir Sports are available for our guests for big sporting events. 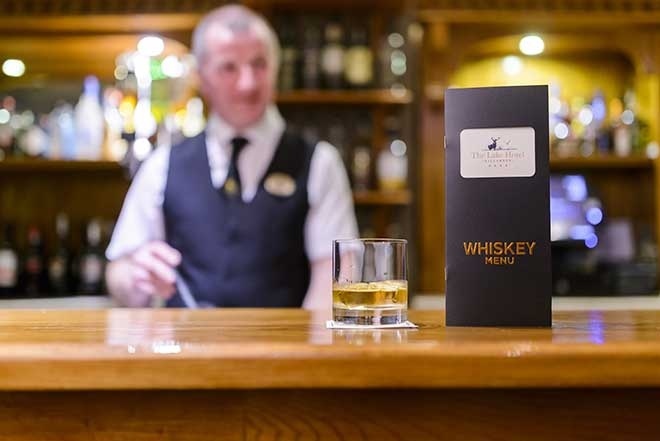 Try our Whiskey Menu, a lakeside Cocktail or one of our Craft beers in our relaxed atmosphere in the Devil's Punchbowl Bar. Drinks and food are served outside on our terrace, weather permitting. The Bar closes each night at 2 am.